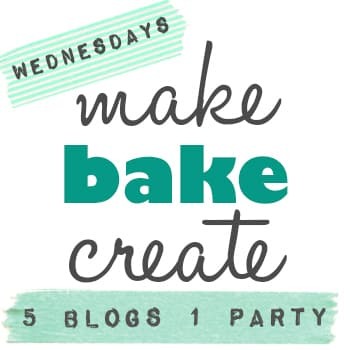 Welcome to Week 12 of the Make Bake Create Party (or the week I forgot what week we were on)! I really enjoyed all of your links last week and look forward to seeing what you link up this week! Just to refresh since this is still such a new party, every Wednesday come and link up your favorite projects from the week. This could be any food, recipes, crafts or DIY! 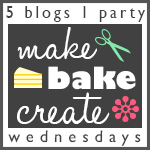 Since there are 5 hosts... your link will be seen on 5 blogs at once. SWEET! 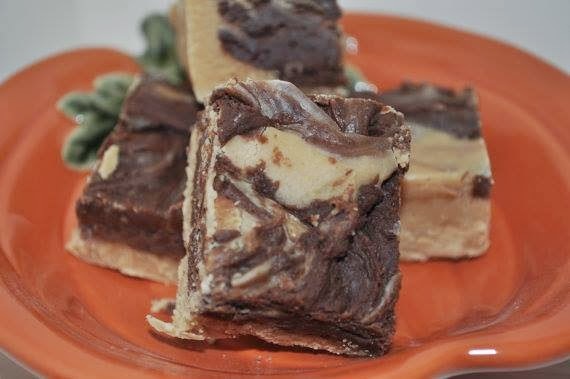 Today Sarah from Hope in Every Season is our official party host and is sharing her AMAZING Chocolate Peanut Butter Fudge Recipe! YUM! If I wasn't leaving for church camp in less than 24 hours, I would totally make some to take with me. I just don't have enough time left in my day to whip some out. But, I will be making some when I get back! I am ALL about the sweets this week! Here are my top 3 Sweet Treats that you all posted last week! Growing up we had 2 apple trees, in the summer I would get up EARLY and go pick apples from the trees and bake apple pies for my grandpa. Yeah, I was sweet like that every once in a while. 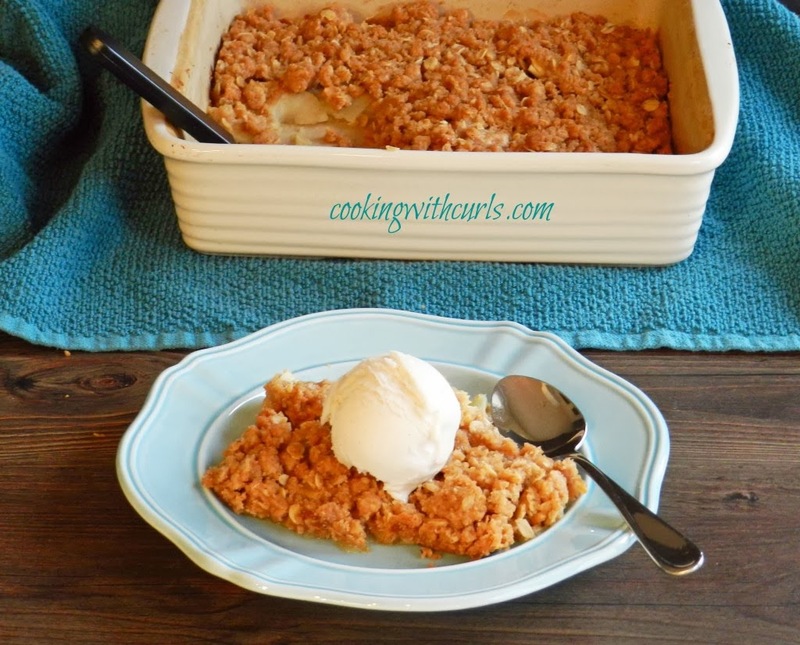 ;-) When I saw this Apple Crisp recipe from Lisa over at Cooking with Curls it brought back all those sweet memories. I can't wait to try this crisp! YUM! 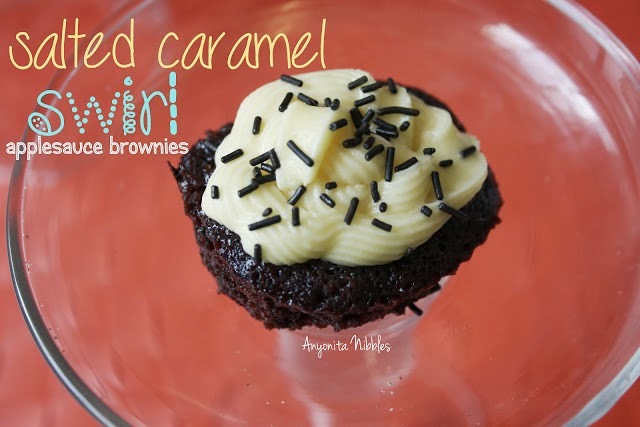 These Salted Caramel Swirl Applesauce Brownies look AMAZING! I can't wait to give them a try! Anyonita from Anyonita Nibbles share these with us and I am SO glad she did! She has some pretty awesome recipes on her site, be sure to check them out! 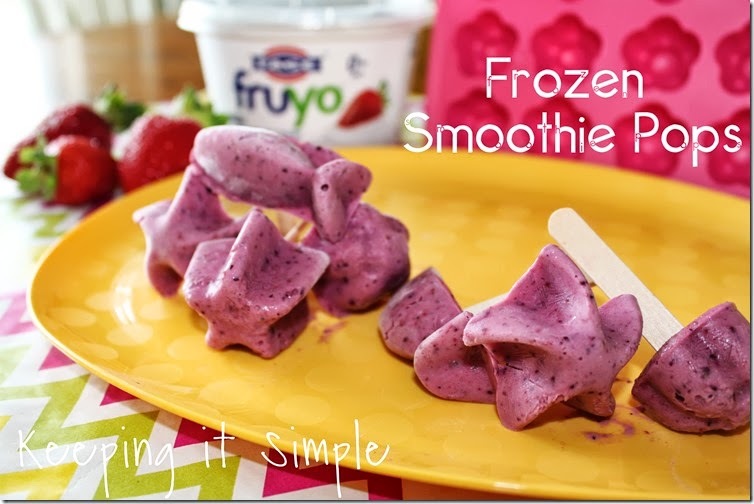 Kaysi of Keeping it Simple shared these YUMMY Frozen Smoothie Pops with us! Don't they look devine? The HOT summer months are just around the corner (late July and August are the worst here), these would be perfect to help keep you and the kids cool! The best part? They are totally healthy! WooHoo!